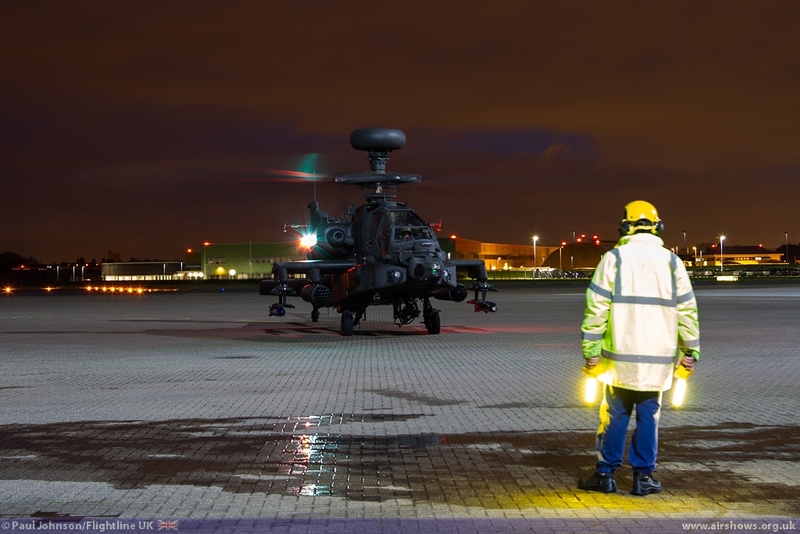 The longer autumnal nights herald the return of the various nightshoot and evening aviation events. 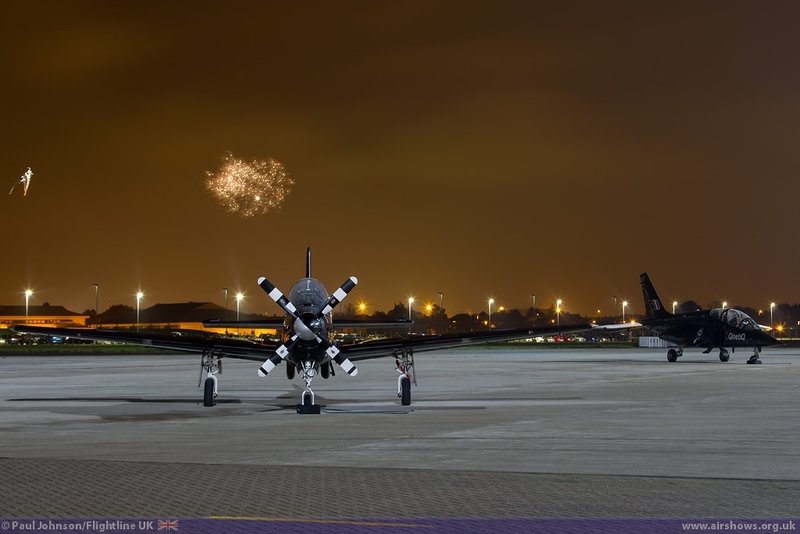 The RAF Northolt Nightshoots are perhaps the best events of their kind thanks to the imagination of organiser Phillip Dawe and the superb facilities offered by 32(TR) Squadron's hangar complex. 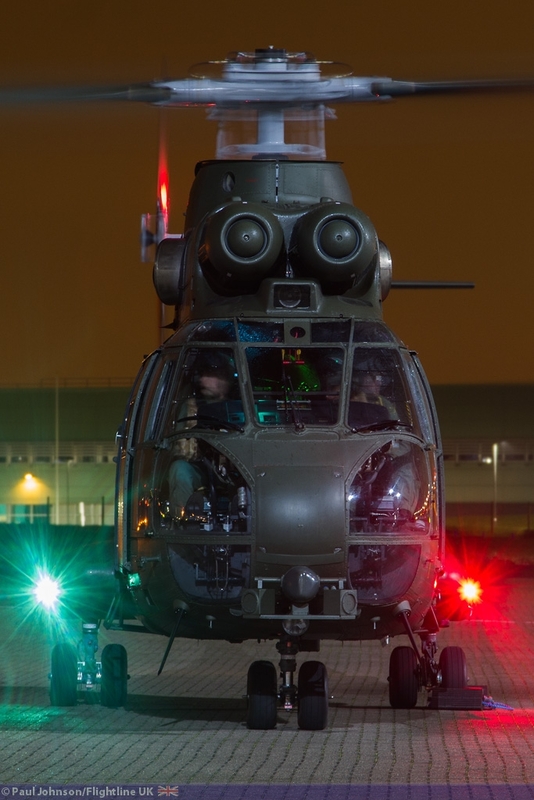 Nightshoot XVII saw great support from the UK participants plus one of the most popular European airshow performers make their Northolt debut. 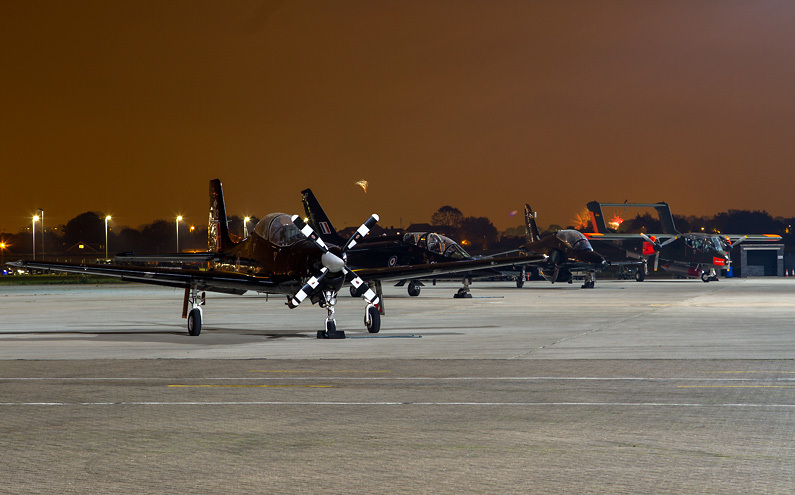 Just recently, participation at Northolt by the Royal Air Force in particular has seemed rather light. All that changed for the 17th event with all of the current military aircraft on show being UK based. 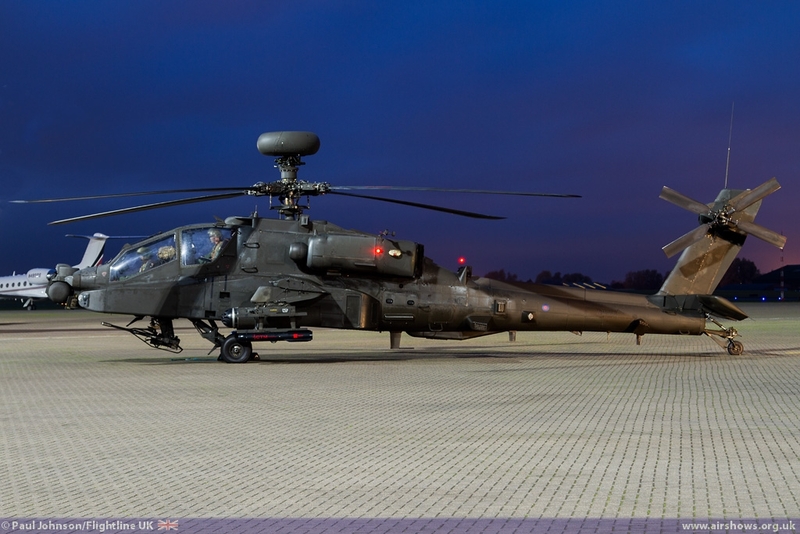 It was good to see the Royal Air Force participate in some strength. 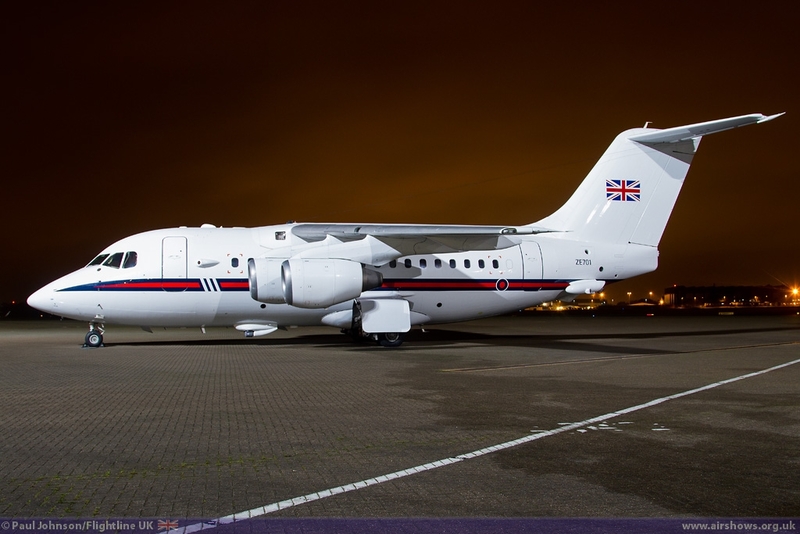 32 (The Royal) Squadron are superb hosts for the event and they also provided access to one of their BAE 146 CC2 aircraft plus one of the hangar pods containing three BAE 125 CC3 aircraft. 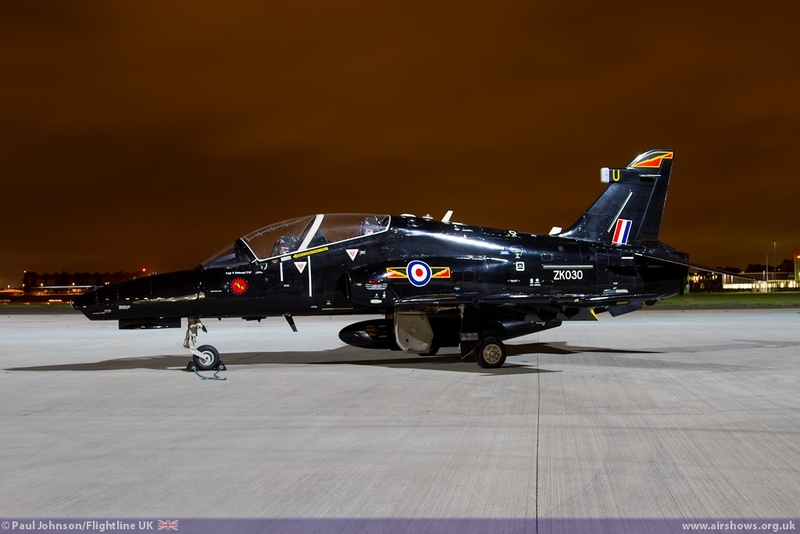 Also looking fantastic under the floodlighting was a BAE Systems Hawk T2 from 4[R] Squadron marking the type's first appearance at a Nightshoot. 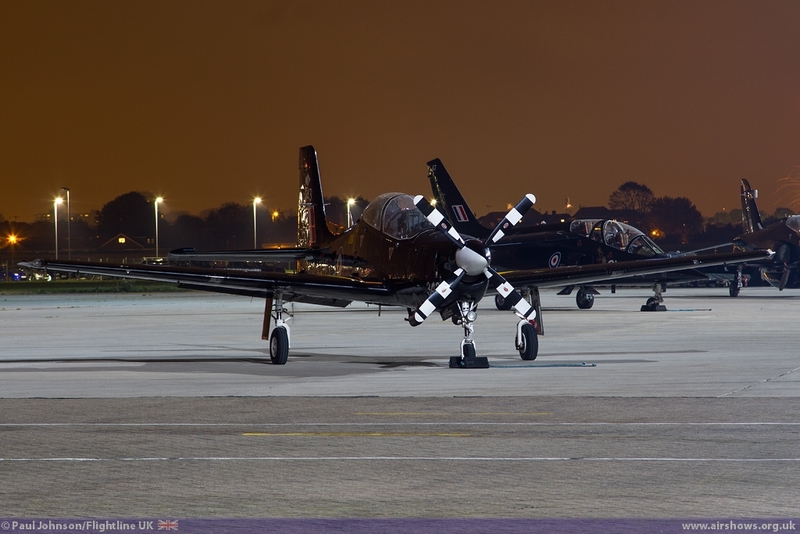 It was hoped this latest variant of the Hawk would be joined by the first ever HS Hawk, XX154. 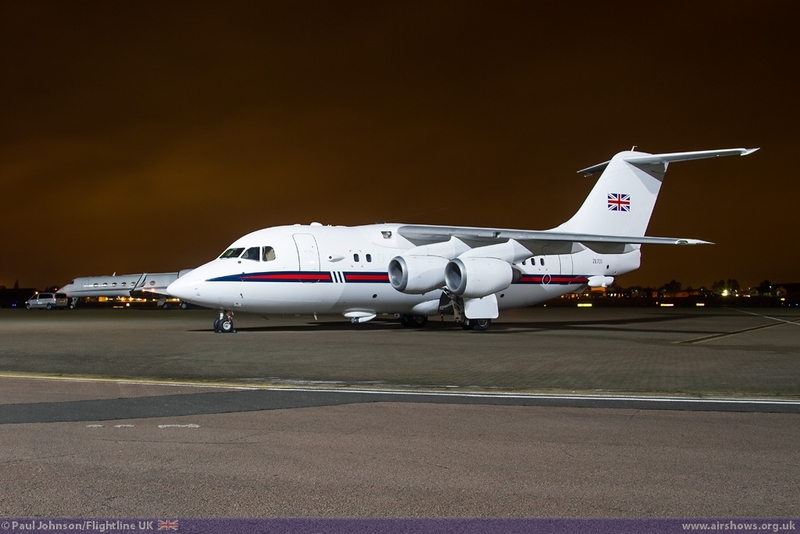 This aircraft is still very much in use as part of the Empire Test Pilots School fleet from Boscombe Down. 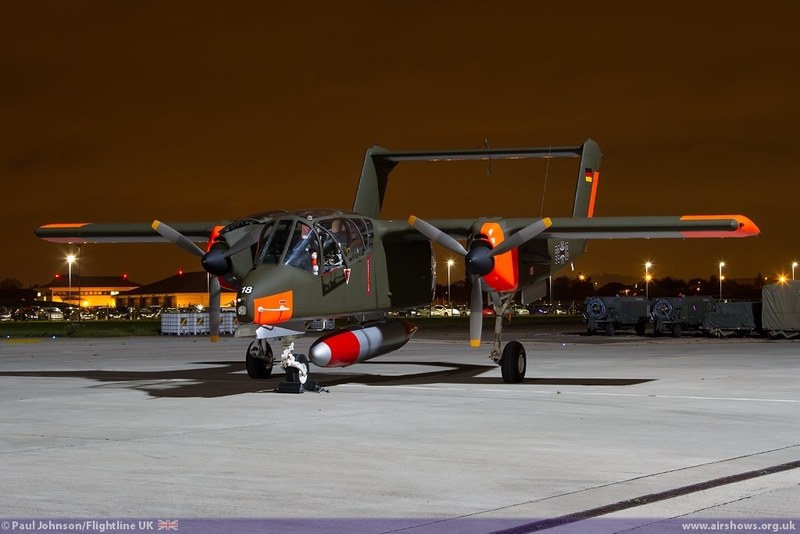 Sadly, it failed an air test just prior to the Nightshoot and was unable to attend. 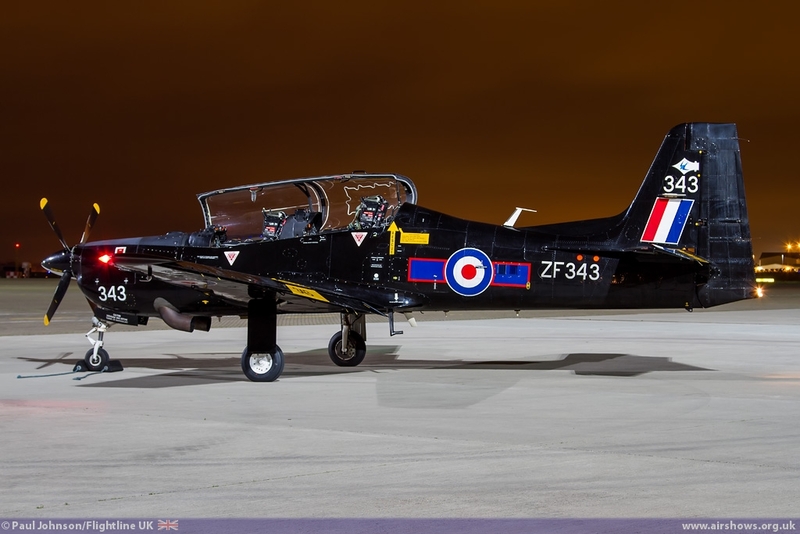 Another RAF Trainer also joined the line-up with a Shorts Tucano T1 from No 72[R] Squadron. Even though he couldn't run the engine during the shoot, it was good to see the pilot get into the spirit of the event opening the canopy and operating the navigation lights. 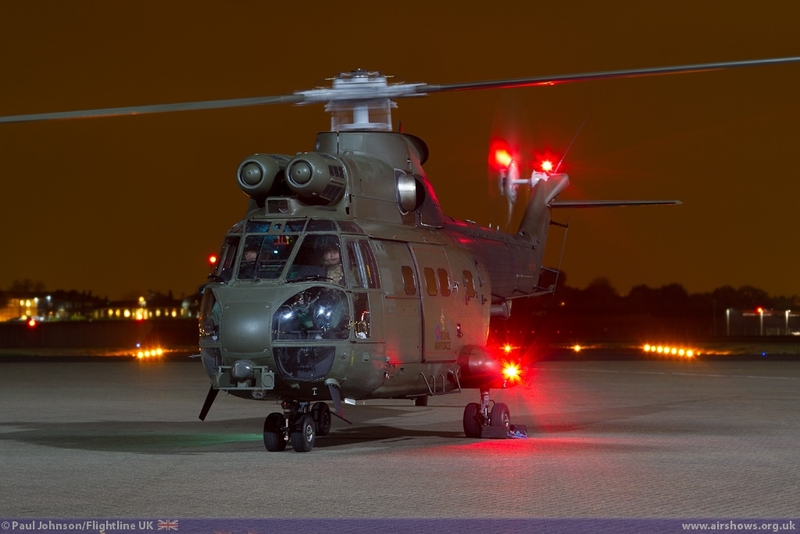 Another "new" type taking part was the Airbus Helicopters Puma HC2. 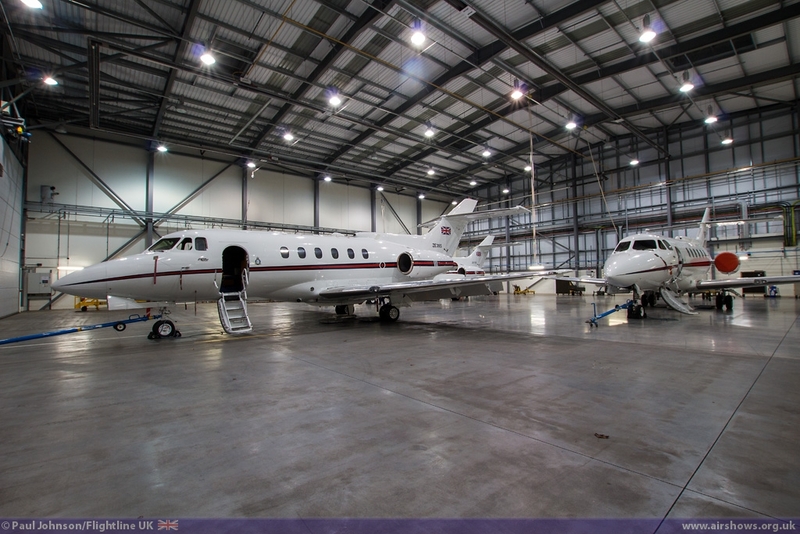 These are significantly upgraded aircraft with more powerful engines, greater range and enhanced glass cockpit. 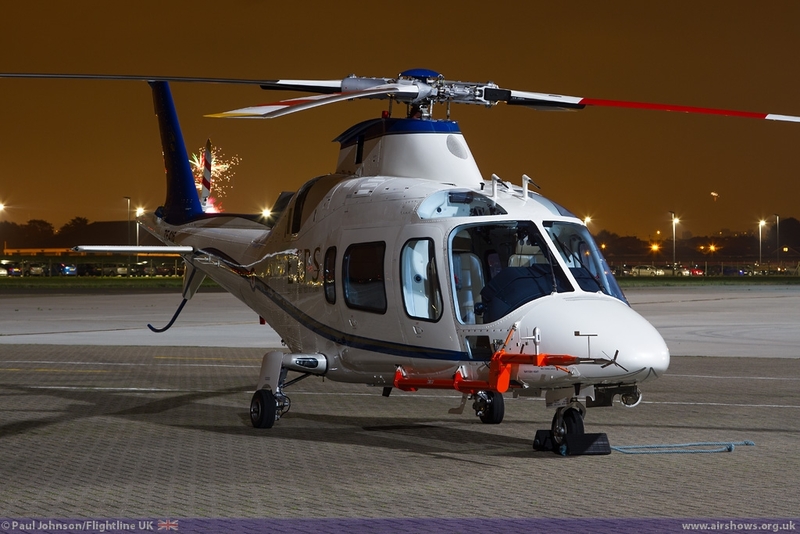 The modifications have also included better self-defence systems plus ballistic protection with the cabin. 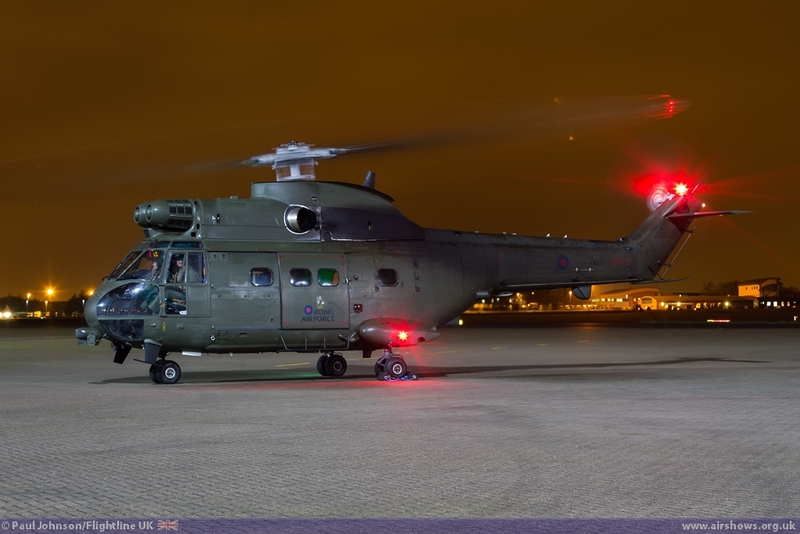 2014 has seem the upgraded Pumas re-enter RAF service providing the service with an impressive battlefield helicopter which can be prepared for deployment in a C-17 in just four hours. 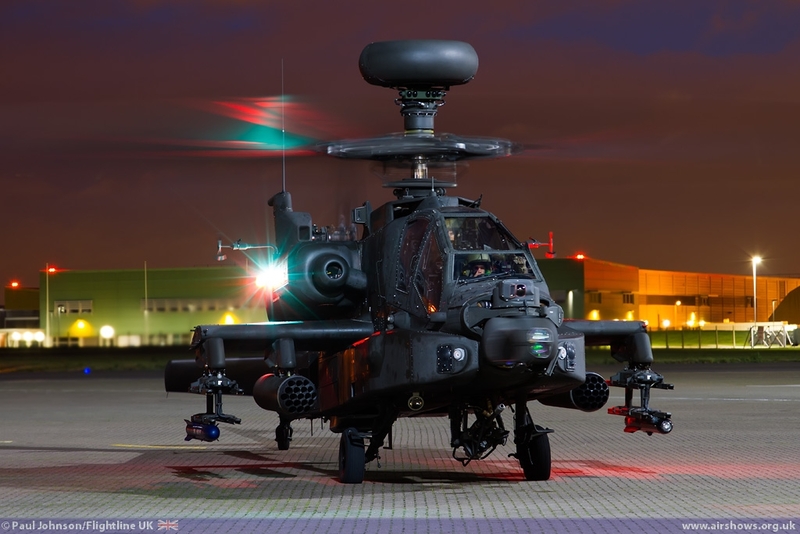 The Army Air Corps sent an AgustaWestland WAH-64A Apache AH1 to Northolt for the first time as well. 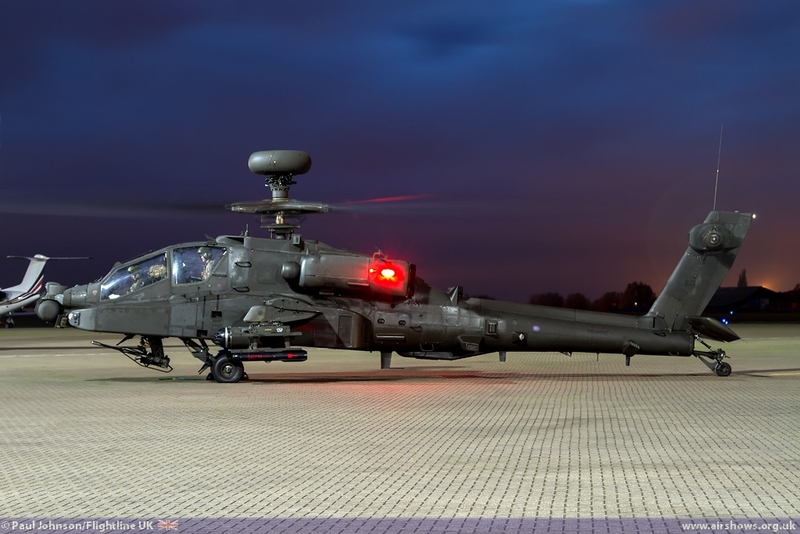 It was just a short stay as the Apache's participation was part of a night-flying training exercise so the aircraft was only present for the opening few minutes of the Nightshoot but it certainly provide one of the standout opportunities of the evening. 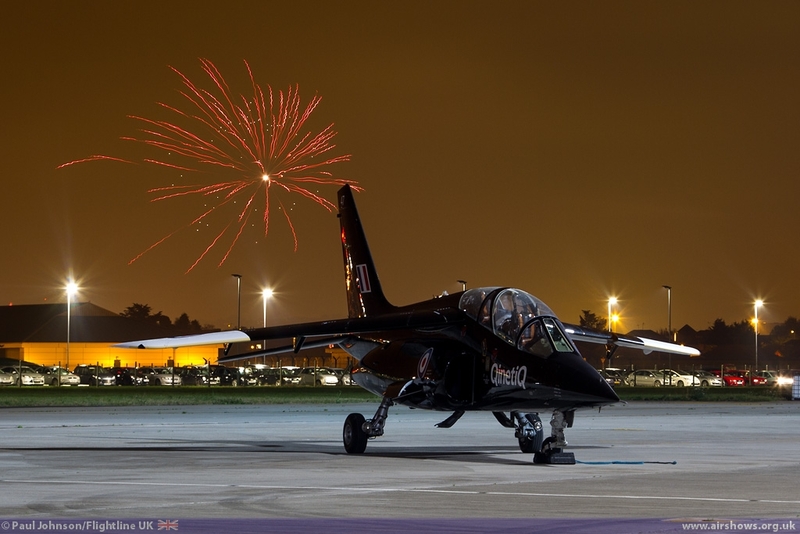 Though the Hawk was not able to appear, the Empire Test Pilots School did send two aircraft for the event. 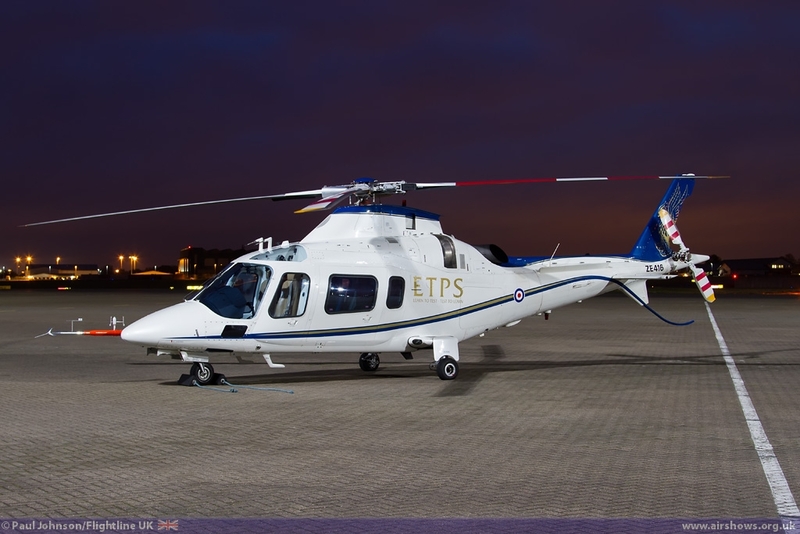 The Agusta A109E helicopters are one of the most recent additions to the ETPS fleet. 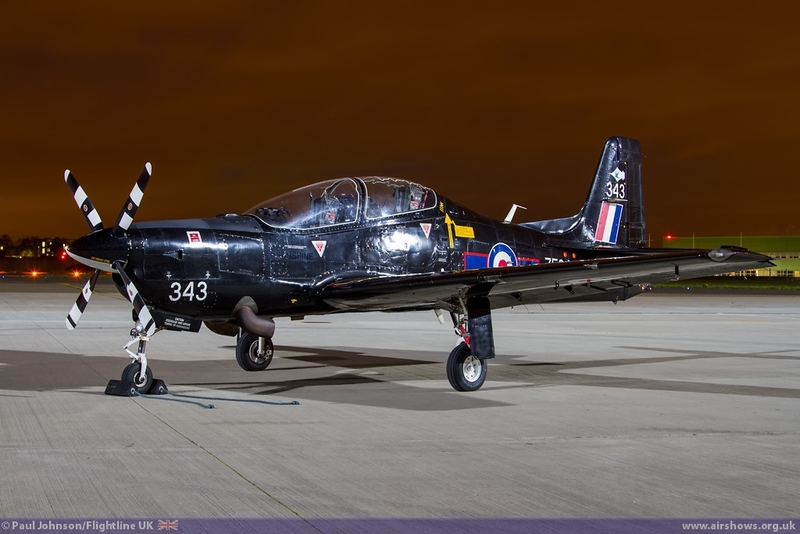 The example at Northolt was fitted with wing gauge equipment to the nose and looked rather good in the new "corporate" style scheme against the dark backdrop. 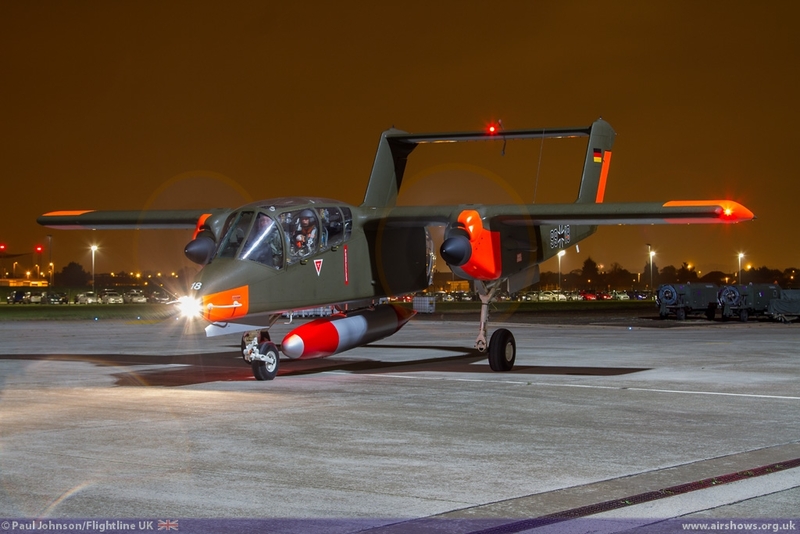 A late replacement for the Hawk was one of the Boscombe Down based Dornier/Dassault-Breguet Alpha Jet As. 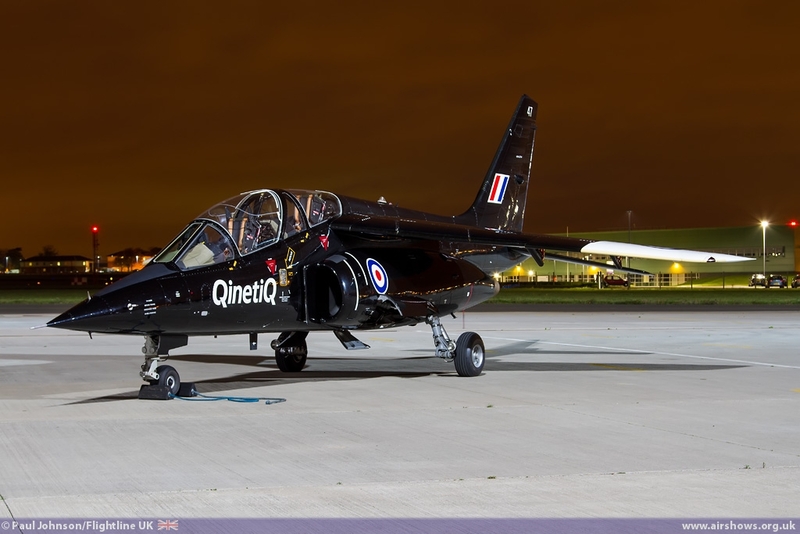 These are ex-Luftwaffe aircraft bought to supplement the Hawks used by QinetiQ/ETPS on various training and testing tasks. 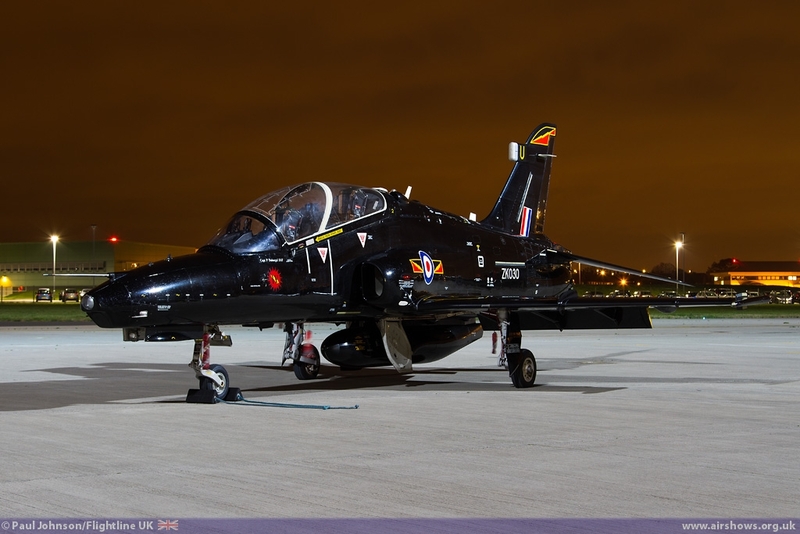 Though initially they keep the rather distinctive Luftwaffe camouflage, they have now also received the standard gloss black training scheme now worn by the RAF's fast jet training fleet. 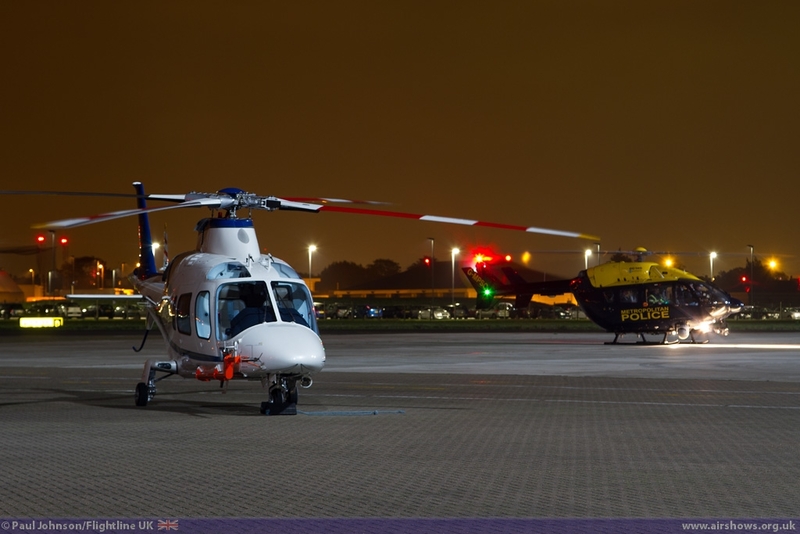 Somewhat regular aircraft are the Metropolitan Police Air Support Unit Eurocopter EC145s and the London Air Ambulance Services MD900 Explorer both of which very brief appearances during the evening. 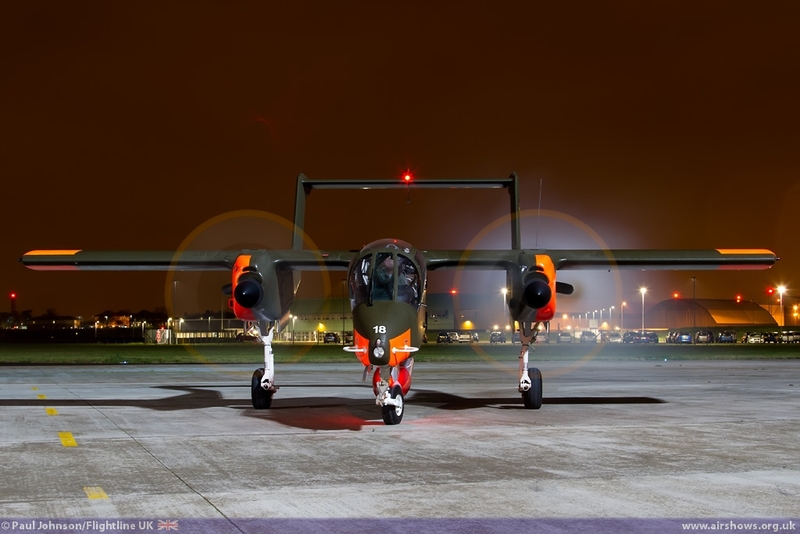 Star of the evening though was the North American OV-10B Bronco from the Belgian based Bronco Demo Team. 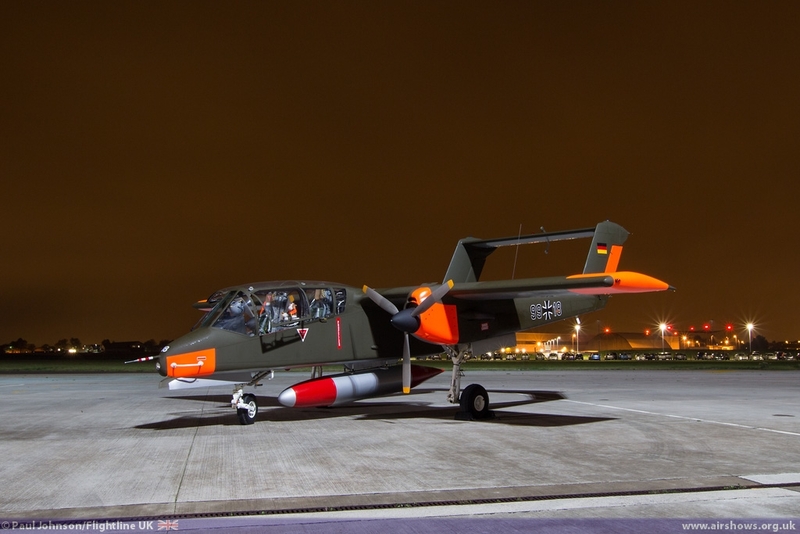 The aircraft is flown by Tony de Bruyn and supported by a great team of enthusiasts who take their beloved aircraft around the European show circuit each summer. Indeed this year the Bronco was on static at Abingdon and RIAT and flew in Waddington's flying display. 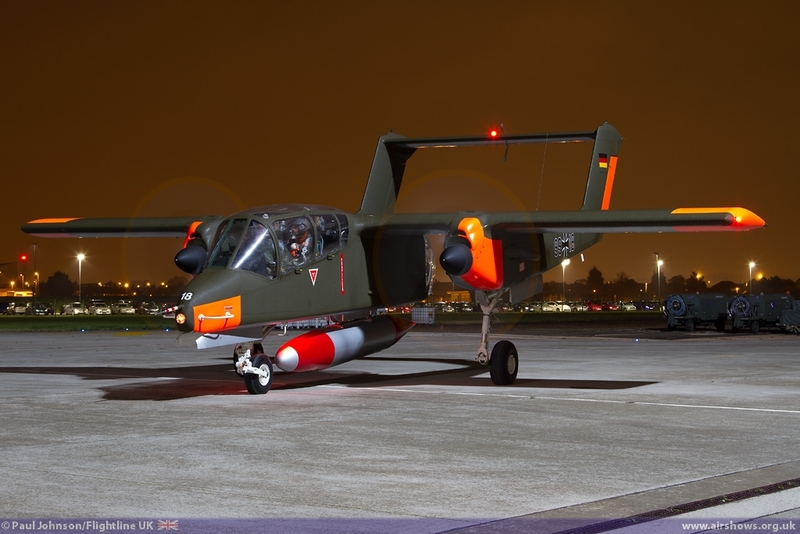 As well as just running the engines on the Bronco, Tony taxied the aircraft around and also ran the smoke system. 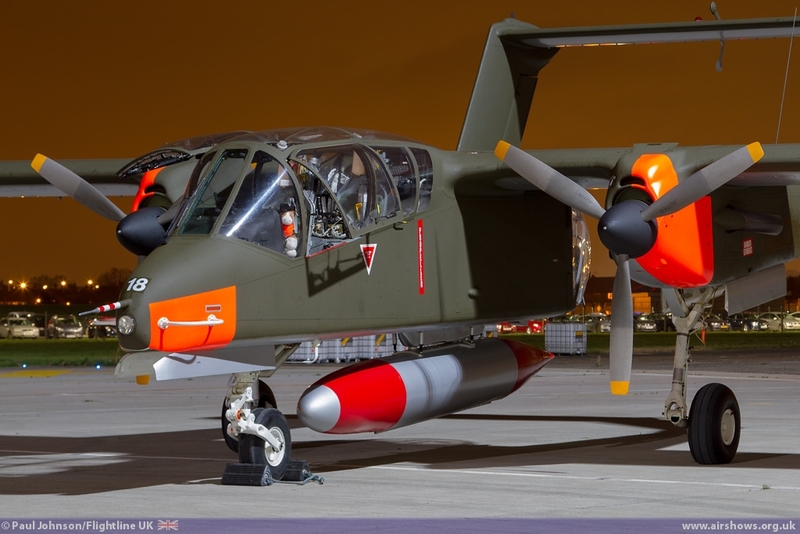 The smoke system is not a modification, but was used by OV-10s to mark targets and their presence in the sky. It was certainly one of the most interesting Northolt events with plenty of different aircraft on show with some great opportunities. Adding to the evening were several firework displays surrounding RAF Northolt for the local Diwali celebrations which certainly resulted in some unique photos.